Fundraising is the lifeblood of the nonprofit, and, successful or otherwise, determines the organization's ability to provide for the group it serves. Every organization attempts to lower overhead while increasing donations, but this often proves to be impossible within existing frameworks. Effective fundraising - increasing donations while engaging more donors and lowering costs - requires a sound strategy that turns major roadblocks into minor hurdles that are easily overcome. It's not about trying harder, it's about working smarter. The book outlines clear, concrete, actionable steps that can be immediately implemented to escalate income growth. Effective fundraising is sustainable, consistent, and on-target. It must exceed current need and expand to fill future need. 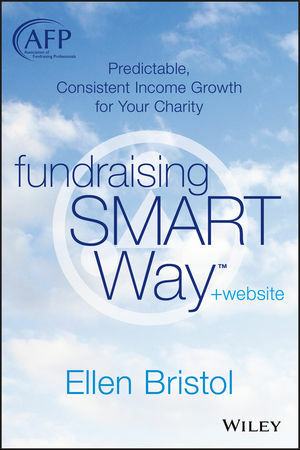 Fundraising the SMART Way represents a true breakthrough in that it lays a foundation for true systemic overhaul, and can be the catalyst for the growth of any nonprofit. ELLEN BRISTOL came into the nonprofit sector after more than twenty years of experience in the corporate world where she specialized in major-account sales of information technology equipment. Since 1995, the year she launched Bristol Strategy Group, she has developed a solid track record as a consultant and author in the fund development arena.